In recent years an already buoyant relationship between the governments of Colombia and the United Kingdom has gathered even more strength thanks, in part, to the close ties of the current head of state Juan Manuel Santos with the land of his Alma Mater, the London School of Economics; and from which, he earned a master’s degree in economics, economic development, and public administration. But Santos is hardly alone with letters from such a prestigious establishment. According to some sources, 500 business leaders working in Colombia hold LSE credentials, and meet regularly to share and talk about their years in the United Kingdom. Inspiring others to embrace higher education in the United Kingdom, the alumni of LSE are just one segment of the Colombian populace which looks towards the island nation with admiration and respect. And after years of negotiations Colombian carrier Avianca has recently started a direct service between Bogotá’s El Dorado and London’s Heathrow. 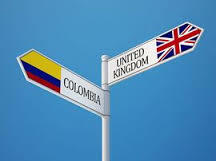 Forming part of the European Free Trade zone, the United Kingdom is the second largest foreign direct investor in Colombia, amounting to $6-billion (U.S) during the last 8 years. 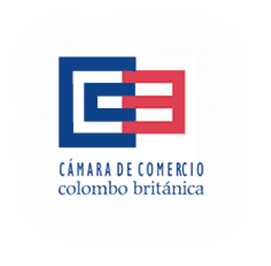 Part of a global initiative by PM David Cameron to triplicate British exports to the sum of 1-trillion Pounds, Colombia was chosen to join 19 other countries which best offer incentives and opportunities for incoming British business. Last year to celebrate the World Games in Cali, The Wright Group – a leading coachbuilder from Northern Ireland – sent to Colombia a double-decker which showcased an iconic British bus. The Wright Group and Scottish bus builders Alexander Den- nis have been looking for business partners with expertise in the Colombian integrated transport market. British companies are increasingly adding value to already high-profile Colombian businesses looking to modernize their manufacturing base, implement greener energy policies and look at British design to make their brands more competitive. In the retail cluster, luxury clothing houses Burberry and Hackett London have established a presence in Bogotá. As the second largest retail city in Latin America (after Sao Paulo) British companies are eyeing Colombian cities as an exciting market to step into. Despite some misconceptions overseas of the opportunities in Colombia, companies such as Land Rover and Mini Cooper have a proven track record in the country and demand for their cars continues to grow from increasingly brand-conscious, local consumers. As Colombia’s economic engine advances towards an expanding horizon, don’t be surprised – if in the years to come – the trains of future overland travel are assembled with that ‘Britain is Great’ know how.